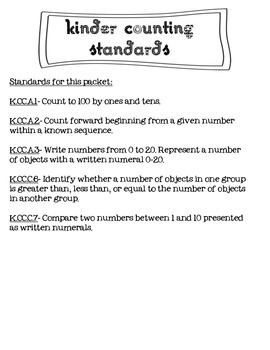 This is a packet full of activities that are all based on the counting and cardinality common core standards for kindergarten. 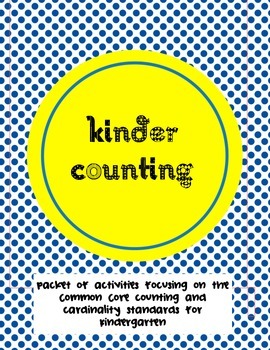 Each activity can be used in small group, workstations or for independent practice. Most of the materials should be printed on cardstock and laminated to help with durability. 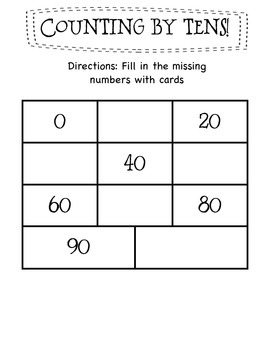 Counting by 10s to 100. There are a total of eight activities in this packet!